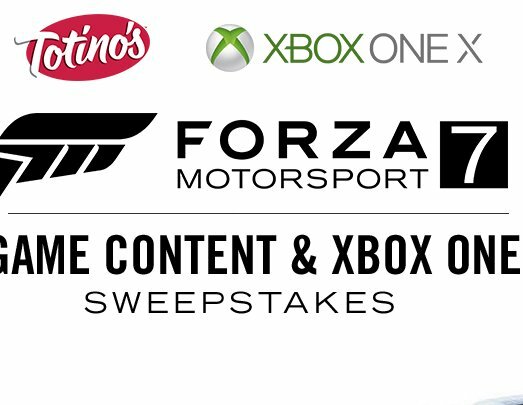 20 Grand Prize winners will receive the following $650.00 X-Box prize package: Xbox One X console, Xbox One X controller, Forza t-shirt, Forza Motorsport 7 digital copy game. The ultimate racing experience will prove to be dangerous and beautiful. Can you handle it? (20) GRAND PRIZES: Each Grand Prize winner will receive the following prize package: Xbox One X console, Xbox One X controller, Forza t-shirt, Forza Motorsport 7 digital copy game. Approximate Retail Value (“ARV”): $650.00. (540) SECOND PRIZES: Each Second Prize winner will receive the following prize package: Xbox One X controller and Forza digital copy. ARV: $130.00.